These days, Cisco network administrators are a nation divided. It is not enough for the network admin to say he works in a Cisco shop. The admin should also specify a preference of Cisco switch – either the widely used Cisco Catalyst 6500 family of switches or the cutting-edge Cisco Nexus 7000 line. The debate over Catalyst vs. Nexus frequently flares up on the popular Packet Pushers podcast for network administrators. And each side of the debate has its fundamental reasons for sticking with their favored gear. Nexus advocates like the speed and the virtualization capabilities. Catalyst adherents appreciate the lower costs and familiarity. 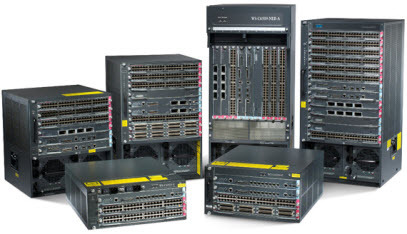 It is hard to tell if Cisco planned to bifurcate its considerable market share for switches. In 2008, the company introduced its Nexus line as the next generation of virtualization-aware switches. The thing is, customers were more or less pleased, or at least used to, their Catalyst switches, which have long been dominant in the marketplace. Cisco would be “crazy to kill off,” the Catalyst (shown below), says Zeus Kerravala, head of the IT research firm ZK Research. Cisco today won’t say if it intended Nexus to replace the Catalyst, but the company is still adding features to the Catalyst and hasn’t made any noise about discontinuing that line, at least for a while. So, should you use the Nexus or the Catalyst? Like a response from a non-committal Magic 8-Ball, the answer is, it depends. “This is an issue that my guys in the field face every day, because of the differences in features and philosophies,” says Dan Vargas, a solutions architect lead for IT systems provider CDW. Cisco’s own take is, more or less, this: Use the Catalyst switches for the campus — the office environments with worker PCs — and use the Nexus for data centers. “Campus deployments require user access control and segmentation, application intelligence, wired and wireless convergence, while data center environments require SAN and LAN convergence, virtual machine awareness and workload mobility and cloud security,” says Shashi Kiran, Cisco director of marketing for data center solutions. If you have a healthy budget to set up a new data center, the Nexus is indeed the way to go, advises Kerravala. But if you have a Catalyst installed base, then it may be prudent to stick with the Cat. Certainly a sea of network administrators is already familiar with Catalyst’s IOS (Internetwork Operating System), a cryptic but ultimately very powerful operating system. With the use of scripts, IOS offers “so much flexibility, there was almost no problem you couldn’t solve,” Kerravala says. Independent channel vendor NHR (Network Hardware Resale) tends to default to pitching the Catalyst for most of its customers. “There is a lot of aggregation switching out there that the 6500 is perfect for,” says Michael Lodato, NHR senior vice president of sales and marketing. Key to picking which switch to deploy “understands how it will be used,” Vargas says. Many seemingly small factors, such as the operating environment, may influence a decision, he says. Nexus requires a deeper rack than Catalyst, and may require a different form of airflow patterns to keep cool. It also requires a different power supply. Each switch has a considerable number of features the other doesn’t. The Catalyst has a broader feature set, while the Nexus focuses on the high-level cutting edge features such as Layer 2 encryption – a tasty treat for those low-latency traders – and the ability to set up virtual switches. Vargas had one customer who was all set to purchase the Nexus (pictured below), until he asked if the client uses some form of application acceleration, such as a Riverbed appliance. The customer indeed had one, but it used a version of the Web Cache Communication Protocol (WCCP) that the Nexus did not support. So a Cat was deployed instead. Vargas advises customers to clear space on a white board and list all their requirements, and then check which features each switch supports. “Once you’re done with that, you get a pretty definitive answer,” he says. Is Catalyst 6500 Supervisor 2T Your Upgrade Answer? 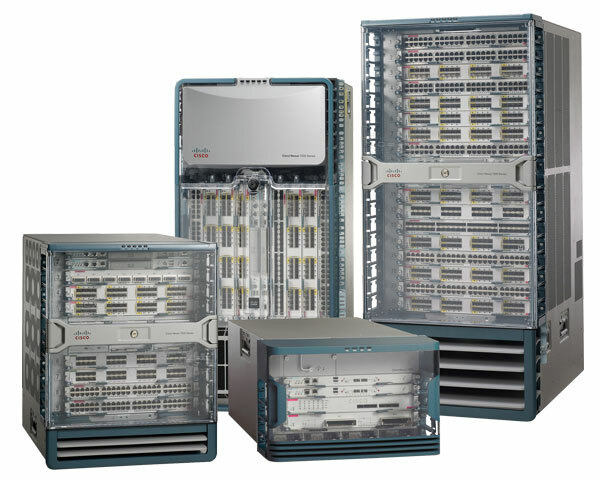 Cisco Nexus 5500: A Viable Core Switch for the Midsized Enterprise? Why Does the Nexus Core Switch Rock in the Datacenter?